Take Rt.# 33 E from Chocowinity,NC to Clay Bottom School to Cotton Patch Rd. to Crisp landing Rd. Most Southern people love bullfrog legs. I have told all my neighbors that I will not allow anyone to harvest my bullfrogs to eat their legs. They are to beautiful and I love to hear them croaking. 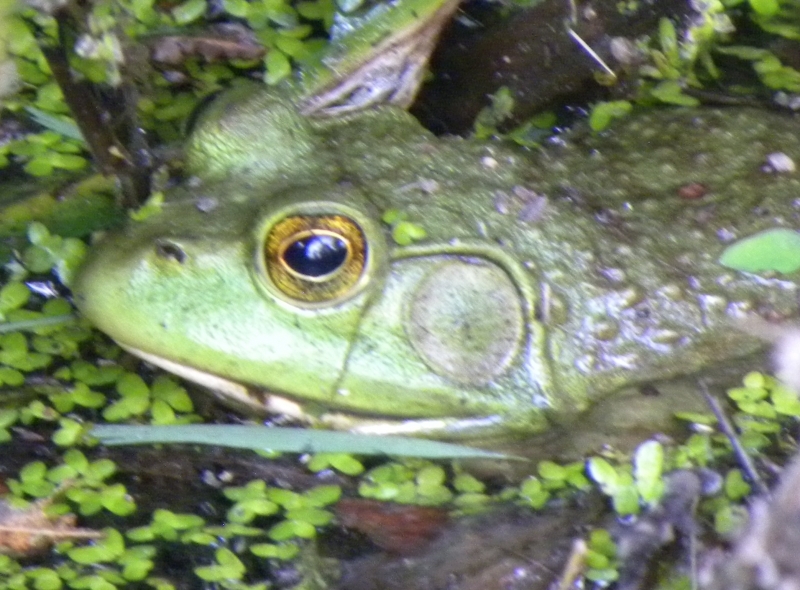 Green bullfrog in my pond near my home.